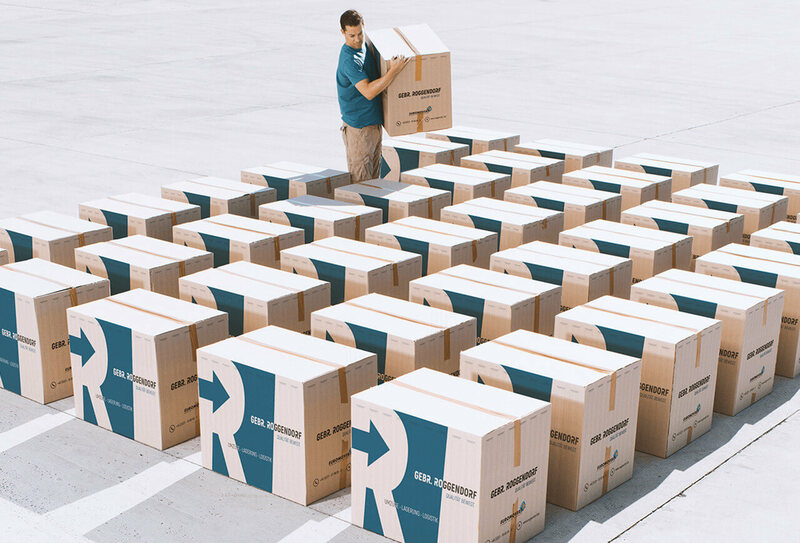 File storage | Roggendorf – Quality moves. Despite all the efforts to introduce paperless offices, the number of files continues to grow every day. Try working out the square footage of office space your files are taking up and how much rent you pay for them – this should make clear why more and more companies are discovering the advantages of external file archiving. The files are packed in special archive boxes and stored in a high rack archive. Container archives are available for documents with medium to raised security requirements. Each archive container can be locked electronically so that only authorised persons have access. Space in a special climate archive is available for material that requires special climatic conditions such as controlled temperature and humidity. This separate warehouse is suitable for storing art, antiques, rolls of film and old, sensitive documents. EACH ITEM IN OUR ARCHIVES IS LOGGED, ENCRYPTED AND SAVED USING A BARCODE. A SYSTEMATIC INDEXATION FACILITY WILL LOCATE YOUR ITEMS ON OUR DATABASE WHEN YOU NEED TO RETRIEVE THEM. THIS IS ALSO POSSIBLE ONLINE. FILES CAN BE ACCESSED WITHIN JUST THREE MINUTES. THE FILE YOU NEED WILL BE DELIVERED TO YOU OR ANOTHER AUTHORISED PERSON AS QUICKLY AS POSSIBLE. BUT WE NOT ONLY ARCHIVE WRITTEN MATERIALS – WE WILL ARCHIVE AND STORE PRACTICALLY ANY ITEM.